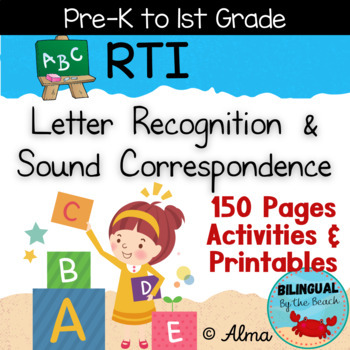 Included are 150 pages for RTI Letter Recognition and Sound Correspondence. Use the activities in this pack for small group, RTI, centers, or homework. 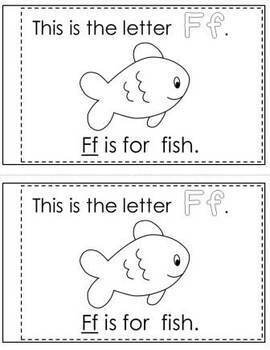 I have some kids ready to read in my Kindergarten class; however, I also have a group of students that still need extra help learning the alphabet (letters and sounds). If you are in the same boat as I am… I think you will really benefit from this pack! 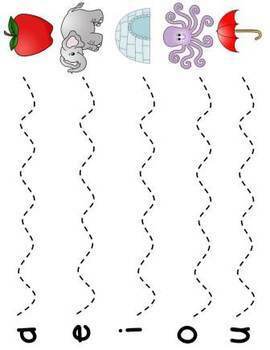 This download contains uppercase letters, lowercase letter cards, both upper and lower together, small and larger letter cards with picture of initial sounds, pages with outlines of uppercase letters that you can use for many activities (ex: you can glue pictures from magazines on them or decorate with little letter stamps etc. ), Sorting labels for uppercase and lowercase, and a vowel sound mat to use for small group and smaller individual mats. My favorite part of this RTI pack is the Letters A-Z Teacher Book and Student Little Reader! 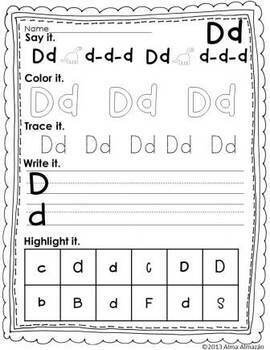 Also included are 26 student sheets for students to practice each letter of the alphabet.